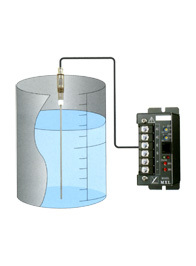 Ideal for detecting liquid levels of small (a few liter capacity) tanks. Washable and corrosion-proof and endures harsh conditions. The G1 type (small installation space and ideal for very small tanks) and H2 type (can be used at high temperatures and pressure) are available. It allows compact installations and does not occupy much space (amplifier is separate). Can be used in harsh conditions such as high and low temperatures and high pressures. Fluorine resin is used for the electrode, for washability and corrosion proofing. A special sensor can be manufactured to match your tank and specifications. *: Can be changed if required.